If you live in Australia or Europe and were unable to claim the adorable Yoshi Plush Soft Toy earlier this month — it's gone in Australia but is still available in Europe — a Kirby: Triple Deluxe Soundtrack has now floated onto Club Nintendo at a much more affordable price. 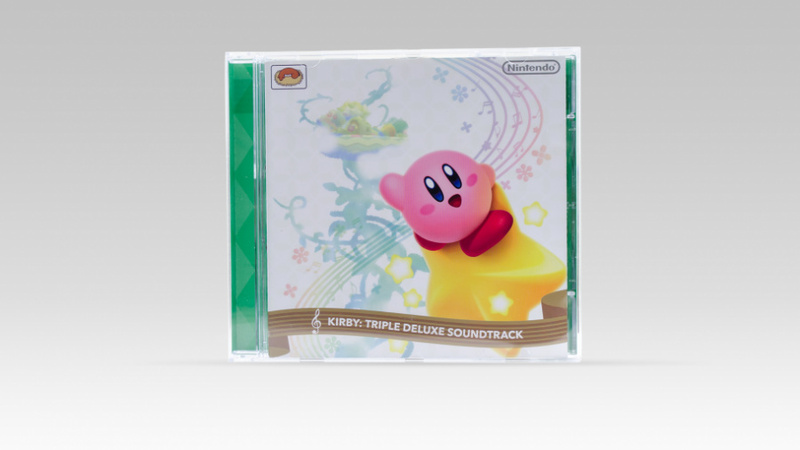 Fans of Kirby: Triple Deluxe can relive the entire experience with the complete soundtrack on CD; it features 46 tracks and three bonus pieces. The insert also includes liner notes from the game’s director and two composers. For Aussie fans, this neat catalogue item will set you back 1500 stars, and for those of you in Europe it’ll cost 2000 stars. Let us know if this is the kind of item you've been waiting for. Otherwise, tell us what you would like to see on Club Nintendo in the near future. meh I'll pass I have 3500 points sitting in my account...hurry up ninty and bring out eshop points in the catalogue !! Australian Club Nintendo is so horrid compared to the US, who wants shoelaces and wiping cloth? People want to exchange the stars for games at the Eshop! You hear me Nintendo? I might get but I'm not as big on Kirby songs, 46 tracks is quite a lot for 2000 stars though. I ordered as soon as I saw it and also have enough stars in case another soundtrack happens like DKC Tropical Freeze or Mario Kart 8. How difficult is it to amass 2000 stars? This is a pretty awesome reward. CD Soundtracks are my personal "most wanted" item for the North American version of Club Nintendo, but NoA doesn't seem interested in offering them. Getting free eShop games is never a bad thing though... so I'm not complaining. Ordered mine this morning, its gonna be my shower soundtrack. I figure Kirby tunes are the perfect way to start the day! @ejamer 2000 stars = 8 games registered to CN, also 3DS and Wii U consoles are 750 and 1000 stars respectively. Even if it was out in America I'd probibly just save my coins. I'm waiting on a special or maybe even a custom Amiibo from nintendo on Club Nintendo. @Nintendian In my opinion, I would prefer physical items to eShop games any day. If I can afford the games to collect the amount of coins I have in my account, I can afford a $3-8 dollar eShop game. I would rather have official Nintendo merchandise that can't be purchased at normal retail shops. Even if some of the stuff seems tacky, they're collectibles, which any collector would prefer to digital downloads. The NA Club Nintendo has been reduced to 4 physical rewards. We rarely get any new rewards, but when we do, they go out of stock within a couple hours and usually never come back. SERIOUSLY REGGIE bring us the soundtracks in North America. Let me guess...not in North America. I'm pretty jealous you guys get more physical rewards than us, the fun about physical rewards is that you have something to look forward to since the reward won't arrive until after a week. I just found my code for Xenoblade Chronicles and I got out my codes for Hyrule Warriors and Theatrhythm Final Fantasy Curtain Call and there are loads of survey for download games that I haven't completed. No that I have enough I need to decide if I want this enough to get it. Anyone know where the Deluxe Super Mario Galaxy Soundrack went? I was saving up for that baby... Also it's a bit cheeky that the SMG CD is 3850 stars with 28 tracks whereas the K:TD soundtrack has 46+3 bonus pieces for only 2000 stars. 600 more stars. This soundtrack is kind of obsolete now since its on youtube but it's cool as a sort of collectors item. @agqwestern The SMG soundtracks have been available for several years at 3850 for Standard and 4850 for Platinum, maybe once the an item is given a star value it can't be changed without removal. As for where the Platinum version went, out of stock is the answer. @Xaldin When Nintendo delivered an item to you, what does the package looks like? Mine came in a large white envelope filled with air bubbles, with no Nintendo logo or indication of the sender. I was quite worried, I totally forgot I exchanged some stars for a leather cartridge holder... I opened the package slowly, thinking it was a mail bomb. Have been seeing some people here complaining about NoA not having more physical stuff like this and Yoshi's plush... Guys, really?! Some countries don't even have a proper Club Nintendo '-' We here in Brazil are always jealous of the things the rest of the world can have for free as a bonus. May not seem like it but there're ppl here that actually plays and loves nintendo. @Nintendian It varies depending on what type of item they mail. The packaging is just there to protect the item anyway, so I don't see why it matters. I really don't understand the point you're trying to make. If you mean to say you're disappointed because your packaging didn't have an official logo on it, there is usually one on the product itself. Although I don't know what that has to do with what I said. You said that you want digital rewards, and I was just giving my opinion on why I think physical rewards are better. @LawRulesALL There's internet In Brazil o.O? I am so envious of the Soundtracks and other awesome stuff UK gets. Ooh, pretty nice. I'll pass though, I can save for better physical rewards. Sigh. What happened to you Club Nintendo America? I love OST and but my favorite one is Xenoblade Chronicles 4 discs of "mindblowingdamnthisisawesome" music…but Kirby ehhh…how about showing sum love to NOA with a 3D World or Mario Galaxy OST reward huh (wink wink elbow nudge elbow nudge)…seriously i got coins NOA give me a good soundtrack!!! Trolling. GG once again NOA. Only 46 tracks? The game itself has over 100! I'm not even upset about this not being in America, as much as I love the music. @Iggly It takes about 4 weeks for Club Nintendo stuff to be delivered in Europe. I agree with you that physical is definitely better. NoA is so lazy with the rewards. Thanks! Sounds like it would convert to about 400 or 500 coins in North America. Not cheap, but a reasonable price for a nice physical prize. 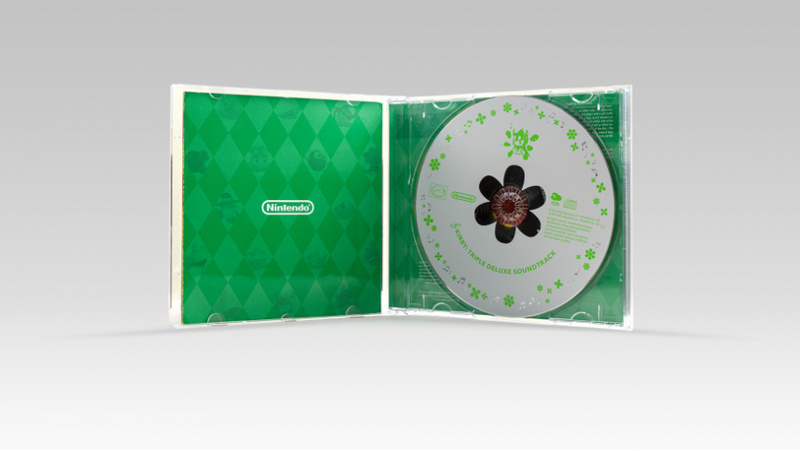 Sure would be nice if NoA at least offered one CD through Club Nintendo to see how people react. So far the only soundtrack we've received is Majora's Mask as an end-of-year platinum prize, and quite frankly calling a collection of N64 short clips and sound effects a "soundtrack" is a real stretch. What you mean apart from the monthly games on offer? I was actually disappointed with TD's soundtrack, and I went into the game thinking I would really like it. Still, it would be great if it came to NA. I wouldn't get it, but obviously there are a lot of people who would. Also, I'm still hoping we get a Tropical Freeze soundtrack some time. On the one hand, yeah, I'd like physical rewards. On the other, I feel like I have my hand out expecting something for free for filling out surveys. I don't mind if physical rewards are rare so long as they're good and in reasonable supply. That's good marketing. Giving away tons of stuff for free, including shipping, is red ink. Yeah, the American stuff on the club Nintendo is some much better than a Case, OST's, Playing cards, backpacks and other bags and an assortment of other cases and notebooks... Yup, paper and digital games that were already bought in order to get the coins to get the stuff is so much better. I get that the "Noa stinks" comments are annoying, but man do they make it so easy! I WANT THIS! I am always amazed to see people commenting on these begging for damn games they could just buy instead. I'd gladly trade you right about now! The CD will eventually be on ebay, you could always buy it then. The reason we complain is because we don't get the option, NoA has been offering the games long enough that it's not as exciting to American customers anymore. It's, what, 4-8 games on offer per month? We're lucky to get more than one new item in a 3 month period, and even then it will only be limited availability for the really good items. Everyone who uses Club Nintendo in America thinks that it isn't fair that we are getting this but the nearest thing we get to free download games is credit for the DSi/Wii stores and that doesn't work on the 3DS or Wii U. @twadezelda3dsxl Sure the DSi store doesn't exist on 3DS but the Wii Shop Channel can still be used on Wii U and always has been. Lets not forget either that at the moment it seems like N64 games will never come to Wii U VC. NA is definitely in the worse position. Nobody can say the Australian store does not have good things in it anymore. It has gotten SO much better in just the last year or two: Luigi Diorama, Hanafuda cards, Mario Hat, Yoshi plush toy, Super Mario 3D World soundtrack... the list goes on. Now we can get this Kirby soundtrack as well. I am really glad to see that Nintendo is finally acknowledging the Australian store. Well hopefully it will take some time before the rest of the global offices find out that NoJ is gutting the club nintendo program. @twadezelda3dsxl Just so you know, any digital downlaod worth while that pops up on club Nintendo NoA, 90%-95% of people probably already own it which is how they got their coins in the first place so really the digital rewards are empty rewards for most people. Also, the Wii eshop can be access on the Wii channel on the Wii U so even though those point cards are more pricy, you do have that entire library of titles that the Wii u will either not see or not see for years and years to come available to you. Not in America? Big surprise. NoA is known for having a billion CDs of the best soundtracks. @Grumblevolcano Will it ever come back in stock? @shaneoh I don't find the games exciting because I already buy the games I want when they release. 200 coins (roughly on average) for a game I could pay less than $10 for is a bad deal, straight up. Meanwhile, physical goods may wind up on eBay, but they will be EXPENSIVE. I paid around $30 to import Tingle's Balloon Fight a few years ago. Looks like the incomplete version of Galaxy's soundtrack is going cheap...but the two-disc complete version is crazy expensive. Either way, I'd rather get it straight from Nintendo and have a quality program instead of this crap we're stuck with now. The music in this game is actually amazing. @Stuffgamer1 The reason for that is you can still get the single disk one. The price will never be more than just buying the club nintendo codes whilst something is available.